Nessa Carey has proved consistently effective in putting across the next generation (as it were) aspects of genetics that take as far beyond the selfish gene. We've had The Epigenetics Revolution and Junk DNA on the aspects of genetics where genes are switched on and off, and looking at the parts of DNA that don't code for genes. 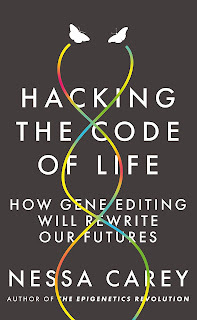 Now, with Hacking the Code of Life, we come from the natural side to human intervention - the ability to edit the genome and the implications of this ability. In the past we've seen rather hysterical responses to gene editing, whether it's campaigns against genetically modified organisms that have prevented life-saving developments and wider availability of food, or dramatic predictions of disaster. Carey gives us a more balanced picture. She doesn't play down the risks - but all technology comes with risk. Use of fire might have been one of the greatest steps forward in human development, but it can also kill people. We had to learn to control it and regulate it, and the same goes for gene editing. 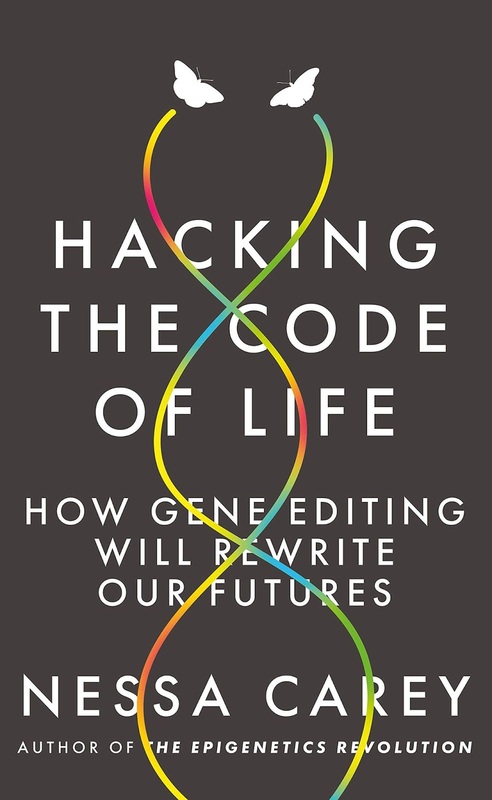 In this slim volume, Carey takes us through the mechanics of making modifications to the genome, from the early crude mechanisms to the remarkable precision of CRISPR - which is where things really begin to take off for the future. The book covers medical applications, the potential transformation of agriculture (surely it's time for the EU to get its act together on GM, which is very different now with these new technologies? - and let's face we've been genetically modifying crops since the beginning of agriculture), animal applications and whether or not we should actively modify ourself, not just to deal with illnesses but to enhance the human species. All this is packed into a 160-page book (excluding notes), which is a welcome relief after the tendency to produced vast, over-written popular science titles. This is the kind of book that should be issued to every politician and civil servant involved in these kind of processes as a background read - short enough to have time to get through it, but detailed enough to really make the reader think and have a clear picture of what's involved. CRISPR has been around for a little while now and we've been lacking a concise book that covers its implications - we've got that now in this excellent title.